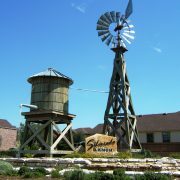 Wood rainwater tanks for centuries have been used for the personal aesthetic appeal, but more often than not, the architect or builder presents this option to the client because it really is lower maintenance and lasts many more years if cared for properly. 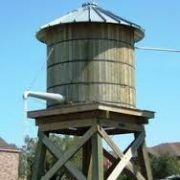 Wood tanks, similar to water towers at railroad depots, were historically made of redwood. 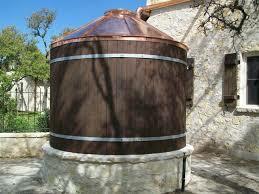 However, modern wood tanks are usually of pine, cedar, or cypress wrapped with steel tension cables. 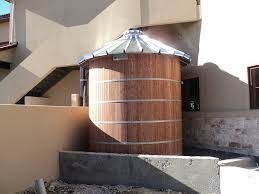 Wood tanks are lined with plastic to increase longevity. For potable use, a food-grade liner should be used. The remarkable situation is that when most are first built only out of wood,, they leak until they have been filled with water, which makes the untreated timber expand. It is truly a fascinating event to construct a real wood tank that is unlined and only banded together with metal strapping. 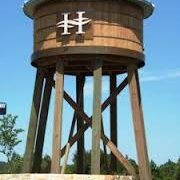 Modern tanks can be made with either the aging old practice of wood only, or maybe the option of a metal tank with a wood wrapping is what you are looking for, but whichever option you choose, the aesthetic appeal is amazing to look at year over year in your community, business, or at your home.